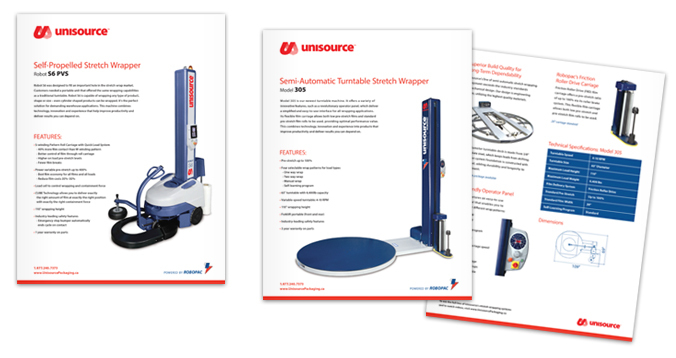 Unisource is one of the largest privately held companies in the US. 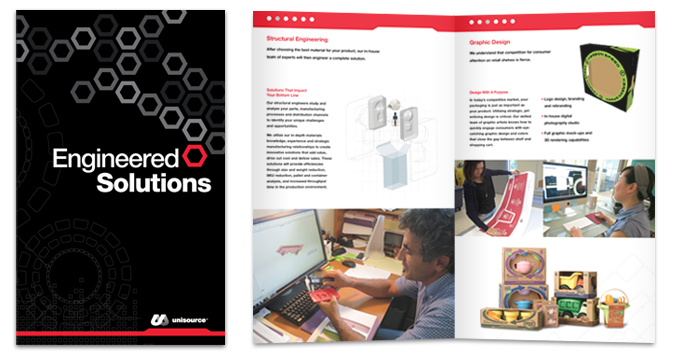 They offer a comprehensive suite of global solutions and innovative products for businesses; from design engineering and logistics, to packaging, printing and more. 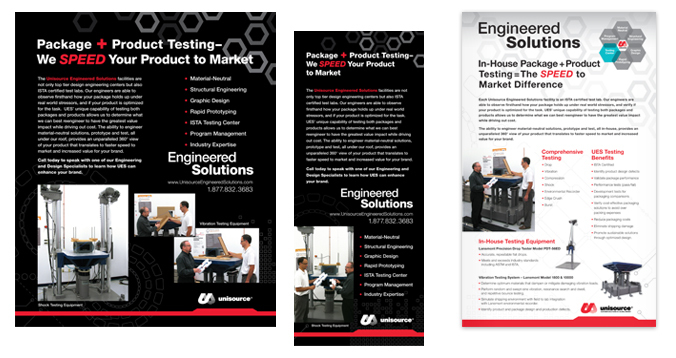 Unisource came to unitOne when they needed marketing materials to showcase their newly formed Engineered Solutions center and a new corporate partnership. 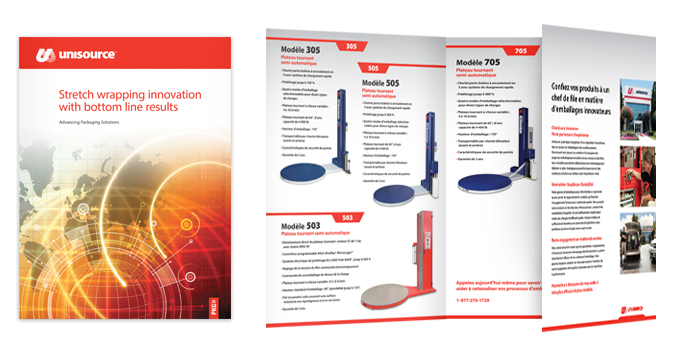 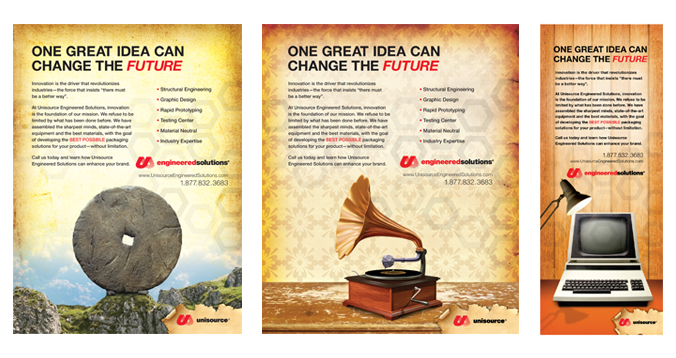 We were able to quickly turnaround brochures and print ads that highlighted their expertise and new capabilities.